10–12 Uhr: Lisa Moravec (Kunstgeschichte, Royal Holloway University, London) leitet einen Workshop, der auf der Präsentation des Schreiblabors Reden über Schreiben aufbaut. Dance is hard to see, as the postmodern dancer Yvonne Rainer pointed out in 1966. It is this paradox that writing about an ephemeral form of art tries to overcome. In this two-hour workshop, we explore ways of writing about bodily movements that disappear before we can see them fully. What can and should we pay attention to, when watching the bodies of the performers on the stage? What bodily processes add weight to a performance? And what do we remember when it comes to writing about them? At the end of this workshop, you should have a better understanding of how to activate ways of sensing of bodily movements in order to write from the inside out, rather than the outside in. Der Workshop versucht, die Arbeit des Schauspielers in dem Buch „Für ein Armes Theater“ von Jerzy Grotowski theoretisch und praktisch zu reflektieren. My current aesthetics of performances is based on the notion of an intimate encounter in a shared space. The skill of performers, that enables creating such a space, is what I would like to refer to as vulner-ability – as the capability to share an intimate state of being. In performances based on autobiographic material, like ‛Hunter’ from Meg Stuart, or ‛It is a balancing act to live without your attention’ from Philipp Gehmacher, the threatening fragility, and the edgy inconsistencies of (their) identities are revealed. These pieces expose and sensitize their audience to the silent gaps within broken narratives by taking them right there – in this zone of vulnerability. 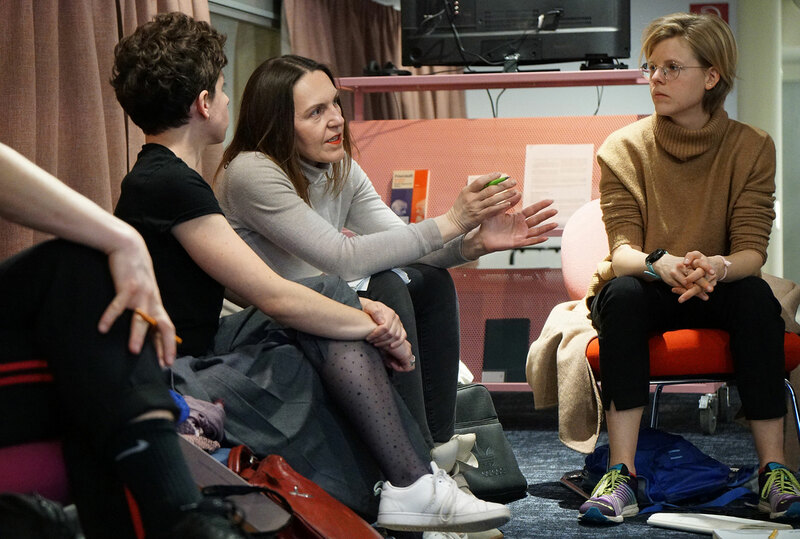 In this workshop, I aim at providing a space in which we can investigate the role of vulner-ability in performative practices, theoretically as well as practically. Der TQW DOC Workshop-Tag wird mit finanziellen Mitteln der ÖH DOC der Akademie der bildenden Künste Wien unterstützt.